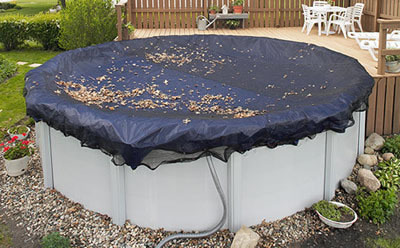 Sick and tired of buying a new pool cover every year? 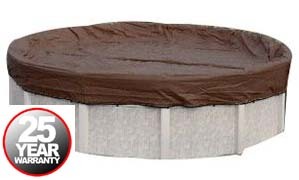 Then try an Arctic Armor Winter Cover For your Above Ground Pool. 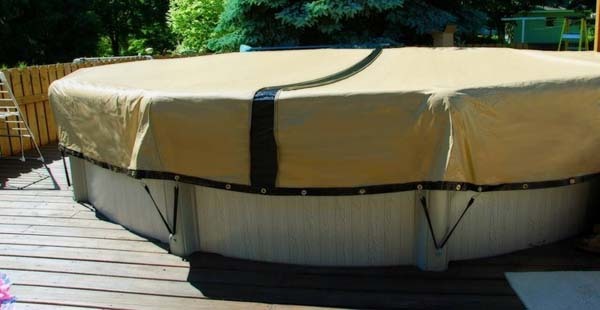 When deciding on a winter pool cover, take note of the Scrim. The scrim is the weave tightness in the underlying thread construction. A higher scrim number means a better quality winter pool cover. Also, The longer the warranty the thicker the material of the cover. Pool Closing Accessories - Winter Chemical Kits, Water Tubes, Air Pillows Etc..
DUE TO OUR SHIPPING REGULATIONS, WE CANNOT SHIP POOL COVERS OR POOL WINTERIZATION ITEMS INTERNATIONALLY. WE APOLOGIZE FOR ANY INCONVENIENCE THIS MAY CAUSE YOU.